The black shoes are from Zara, as you can see, these stilettos are high but also they are very confortable.. I love them! 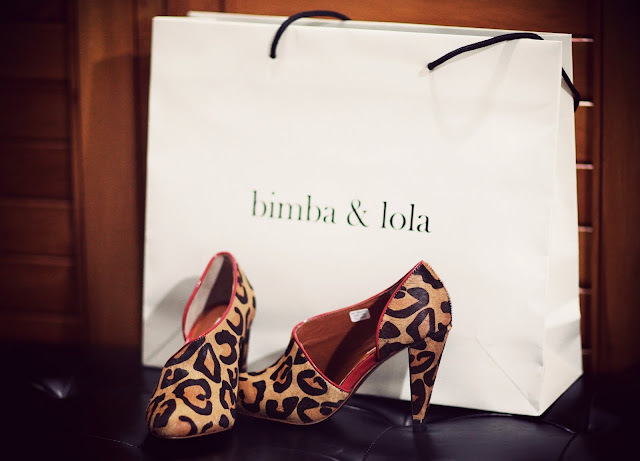 The next pair of shoes are from Bimba & Lola, they are very similar of the leopard shoes designed by Alexander Wang ! I LOVE the Bimba &Lola shoes they are utterly stunning! I was flicking through your looks and I like your style. Anyways keep it up cos I am following now! Love the Zara shoes ! I LOVE the Zara ones!! I'm so glad to hear that the Zara shoes are comfortable! I haven't bought shoes from them before, those look perfect. Love Zara! Waou!!! Tres belle les chaussure noires! they're both fab, love them! i love these shoes.. beautiful!! send the photos to this contest http://www.luzzi.it/users/login!! the price is a trip to Italy..